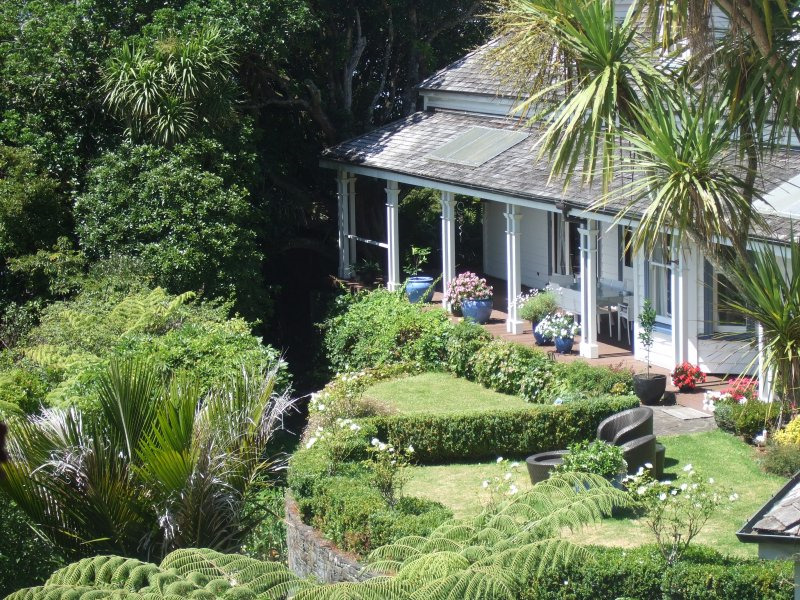 An award-winning romantic 'boutique' Bed & Breakfast in Auckland (or self-contained/catering accommodation) located in the picturesque surrounds of Titirangi (Maori for 'Fringe of Heaven') - the Gateway to the Waitakere Ranges and 'Twin Coast Discovery' Route whether traveling north or south. 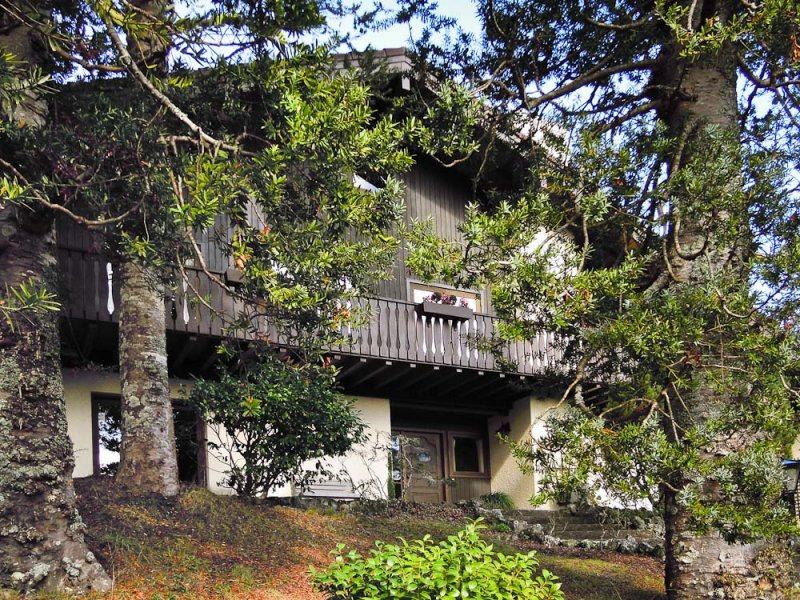 Enjoy peace, seclusion and breathtaking views over native rainforest to the City and its twin harbours- all within an easy 25 minute drive from Auckland International Airport or City Downtown. Panoramic views overlooking Auckland´s Manukau harbour, sweeping towards Cornwallis Beach and all the way to Manukau South Head and the Tasman Sea - The Lighthouse is perfectly positioned, with breathtaking waterviews. The bush is here - bushwalks offer good exercise; the beaches are here - offering lovely swims and excellent surfing; nearby Titirangi Village is here - offering quaint cafés with lunches, coffees and local delicatessen – and its Lopdell House offers plays, concerts, galleries and locally-crafted pottery and jewellery. The monthly Titirangi Market is a fun experience in itself and is particularly strong in local crafts. After browsing and shopping relax in the sun with the locals and tourists for a nice cuppa. And downtown Auckland with its busy waterfront, shops, restaurants and vibrant nightlife is only 35 minutes away. 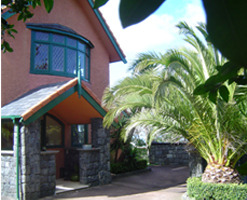 Located very close to the Bay and Lynfield College, Green Bay High School and Auckland International College. 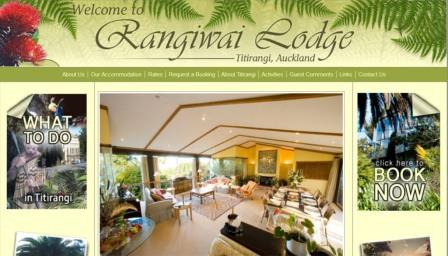 Titirangi Golf Course, Akarana Golf Course and Maungakiekie Golf Courses are also only a short drive away. The Auckland International Airport and all highways are close at hand. Blockhouse Bay shops are an easy five minute walk from our B&B apartment/motel style accommodation. Beautiful villa and a self-contained loft only 200 m away from Titirangi Village and it's cafes and galleries. Very peaceful and secluded property with breathtaking views over the Manukau & Waitemata harbours the City & native rainforest.